We’ve all been there. Those nights where you come home after a long day of work and stare blankly into your fridge looking for inspiration to make dinner. 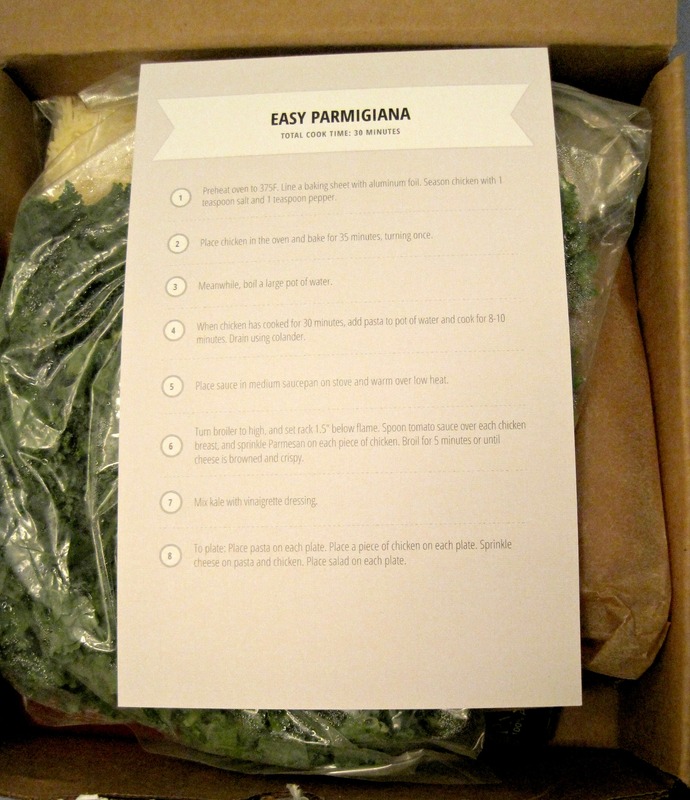 I recently had the opportunity to try Fresh Dish, which is a dinner delivery service that provides ingredients to make a delicious dinner for either 2 or 4 people in 30 minutes or less. Local readers listen up: if you try Fresh Dish you can get a special offer when you purchase your first 4-person meal kit (offer details are below). So how does Fresh Dish work? The concept is simple. Pick your entree of choice from a weekly menu, select a delivery date and how many people you want your meal kit to serve, and the ingredients for your dinner will arrive at your doorstep no later than 8pm PT on your selected delivery date. I signed up to get the Chicken Parmesan with Pasta and Salad, and sure enough a giant box arrived on my doorstep (in the afternoon) with all the fixings. The box also included a very detailed step-by-step guide on how to make the dish and how long it would take, which I think is incredibly helpful. It also includes a “use by” date in case you don’t want to use the meal on the exact date you receive it. 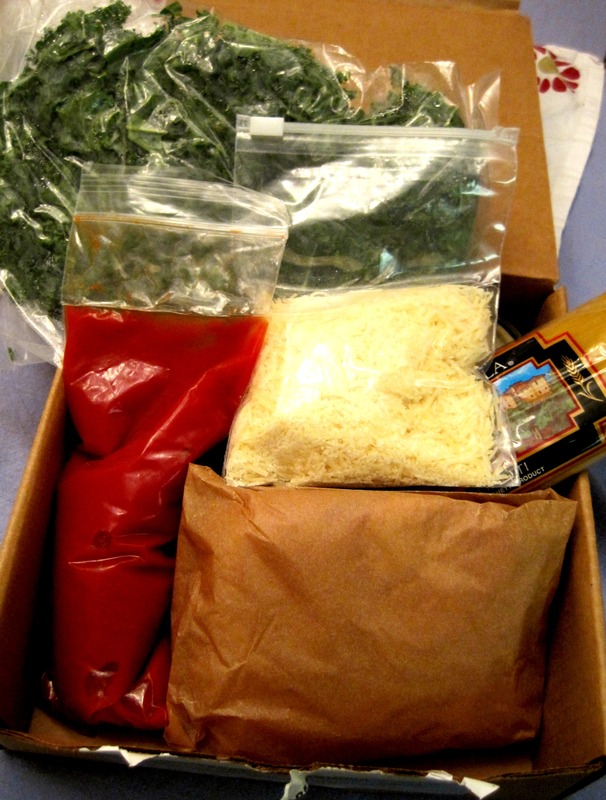 The Chicken Parmesan box included an entire package of pasta (so now we have leftovers! ), chicken, Parmesan, tomato sauce, fresh kale, salad dressing and salt and pepper. Putting together this meal was incredibly easy. 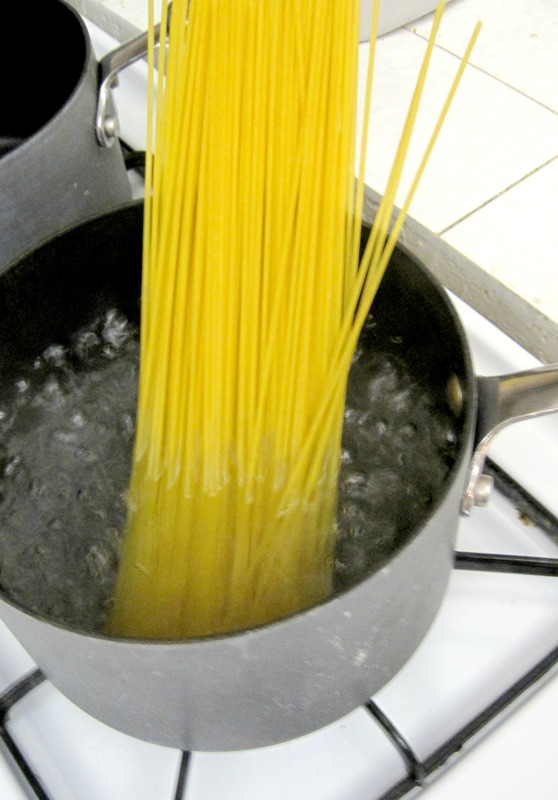 We popped the chicken in the oven and got started on making the pasta. 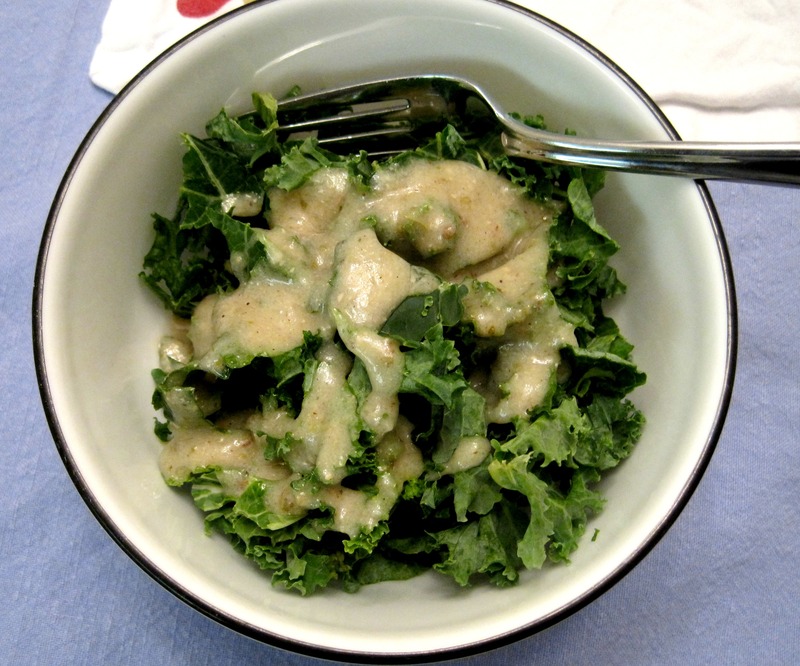 While the pasta and chicken were cooking, the kale salad was prepared and topped with dressing. 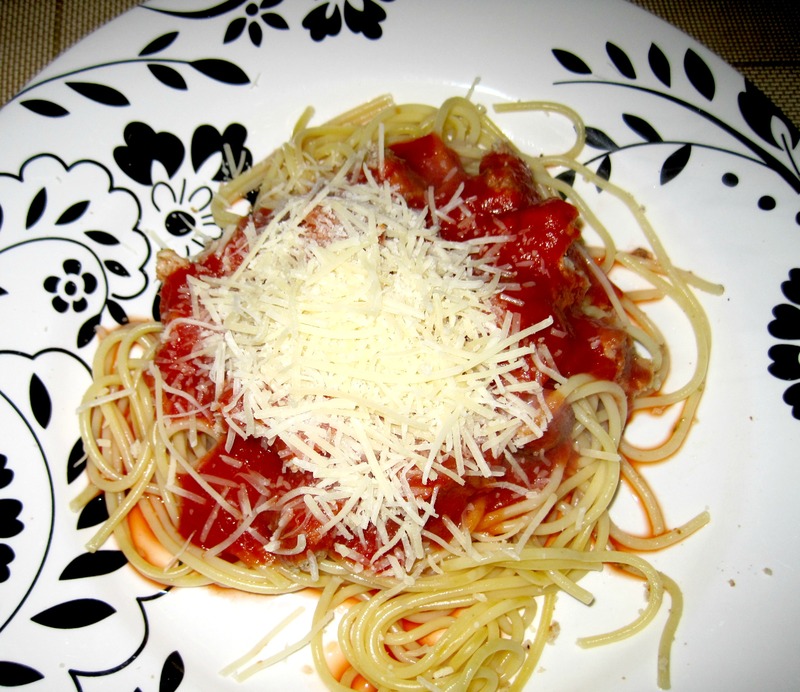 Then it was time to eat – chicken, pasta, sauce, cheese, done! If you don’t like your meal, Fresh Dish promises a refund or a credit towards a different order. I personally recommend that you try Fresh Dish. The meal tasted great, and it was so nice to just quickly put something together especially after a long day of work. And now the fun part! If you try Fresh Dish, you can participate in a special Buy One 4-Person Meal Kit, Get one Free offer by entering the code SWEETFRESH. This entry was posted in Cooking, Dinner and tagged california dinner delivery, delivery service, fresh dish, fresh dish dinner delivery on January 31, 2013 by allie@sweetpotatobites.